Bintan Lagoon Resort and I go back a long way. I have actually visited it twice in the last 10 years. Once, because my friend had corporates there and booked their lovely villa, and once during a company retreat. But that was all quite some years ago so I was quite excited to be invited by Nuffnang to attend the Journeyful and Mozaic Hotels & Resort’s Direct Ferry Media Launch event at Bintan Lagoon Resorts. At first, I didn’t really know what they meant by “direct ferry service” because I remembered it to be pretty direct the previous times. It was only after I’d disembarked from the ferry and realised that I was already at Bintan Lagoon Resorts itself. To cut the possibly long waiting times at Bintan’s public Ferry Terminal (Bandar Bentan Telani Ferry Terminal), Bintan Lagoon Resort built their very own Bintan Lagoon Resort Ferry Terminal! Not only does it cut down on long queues, even the journey by coach or van from the Bandar Bentan Telani Ferry Terminal to Bintan Lagoon Resort has been eliminated! Is that crazy or what??? 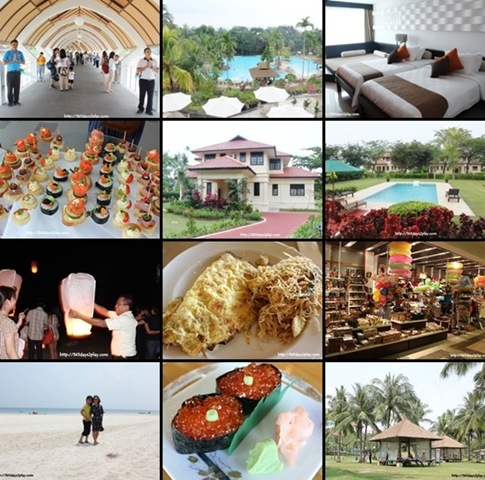 Mozaic Hotels & Resorts is the hospitality management company that manages Bintan Lagoon Resort. How do Journeyful and Mozaic come into the picture? Well Journeyful is a rapidly growing travel platform that combines the ease of an online booking system with the distribution power of a social network. Journeyful is social by design, meaning it enables hotels to extend customised rates to various sub segments of its consumers. To cut the long story short, if you wanna go to Bintan Lagoon Resorts, just book it at www.journeyful.com!! 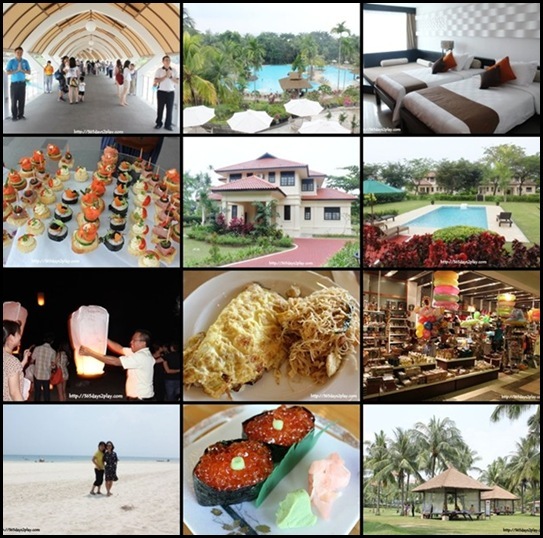 As usual, pictures tell the story best, so I shall leave you to enjoy my 1 night stay in Bintan Lagoon Resort vicariously. More photos after the collage. Don’t forget to check out my separate post on Miyako Japanese Restaurant, where I had a sumptuous lunch together with my mother on the 2nd day in Bintan!